Just because you are under guardianship doesn’t mean that you are forever stuck in the State in which your guardianship was started. We are an increasingly mobile society, even individuals under guardianship. Oftentimes the parents of a mentally handicapped child will decide to move to a different state, but will still need the guardianship to remain in place. Or the adult child/guardian of an elderly parent who is under guardianship will want to move to a different state and bring mom or dad (and the guardianship) with her. So how does one accomplish transferring a guardianship (and a conservatorship) that exists in Minnesota to another state? It is a three step process, involving a court petition (and potentially a hearing) in Minnesota, a court petition (and potentially a hearing) in the new state* and then submitting additional documents to the Minnesota Court. The Minnesota statute governing transfers of guardianships to and from “foreign” jurisdictions (i.e. other states) is set forth in detail in Minnesota Statute 524.5-801 (Transfer of Guardianship or Conservatorship to Another State) and 524.5-802 (Accepting Guardianship or Conservatorship Transferred From Another State) (2011). Serve Notice of the Petition on the Interested Persons. If an Interested Person or the Court requests a hearing, attend a hearing. The Court will then issue an Order provisionally transferring the guardianship to the Accepting State. Go through the process required by the Accepting State to transfer the guardianship and obtain a final Order from the Accepting State, accepting the guardianship. File the final order from the Accepting State with the Minnesota Court (and follow any other requirements imposed by the Minnesota Court to terminate the guardianship and conservatorship – i.e. a final accounting). 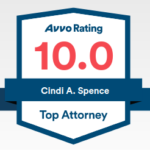 As always, you should consult with an experienced and licensed attorney about the particulars of your case. *It is vital to check with a licensed attorney in the state to which you are transferring the guardianship to ascertain that state’s procedures.